Whether talking with people about my novel Heir to the Lamp or about writing in general, the question I’m most often asked is, “Where does the inspiration for your stories come from?” I get it: I always want to know where my favorite authors get their ideas. Take JK Rowling’s Harry Potter series or DM Cornish’s Monster Blood Tattoo trilogy, each with worlds so creative and magical, so intricate and complete that they seem real. Where does the genesis for that kind of creativity come from? For a lot of writers the answer to that question can be complicated. For me, however, it isn’t nearly as enigmatic as the fangirl in me can’t help believing my author idols’ would be. Unlike Stephanie Meyer, I’ve never had a dream that resulted in a fully developed manuscript. Nor have I ever experiencedthe coalescence of a psychology class, an Evanescence song,and the movie Mean Girls in the way that Veronica Roth has said the Divergent series came to her. For me, the old adage “write what you know” is how I’ve developed my most successful story ideas. So what do I know? When developing the storyline andcharacters of Heir to the Lamp, I turned to my own eclectic family and our everyday experiences. I had to research genie legends and folklore, the life of Cleopatra and the reign of Napoleon Bonaparte for my novel, but I know from experience how many days it takes for a few careless kids to accidently starve their first and only pet hamster to death. I know what it feels like to be almost six-feet-tall as a thirteen-year-old girl. I’ve witnessed the agony and fury of a teenage sister whose little brother has replaced her contact lens solution with mouthwash; I’ve smelled the minty freshness that emanated from her face as she blindly swung at her terrified yet jubilant brother bobbing and weaving just out of reach. 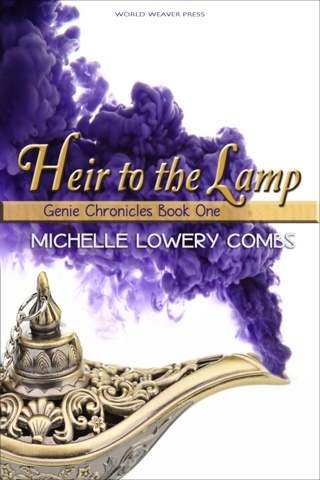 The supernatural plot of a young girl coming to terms with a kind of otherness in the form of a djinn heritage acts as a backdrop to the real story I hope readers will take away fromHeir to the Lamp. A story I’ve lived. A story about what life can be like when you’re one of six siblings. A story about how familial love can endure through chaos, cramped quarters, and even the endless shenanigans of younger brothers that feel likethey could boil your eyeballs in their sockets. Michelle Lowery Combs is an award-winning writer and book blogger living in rural Alabama with her husband, one cat, and too many children to count. She spends her spare time commanding armies of basketball and soccer munchkins for the Parks & Recreation departments of two cities. When not in the presence of throngs of toddlers, tweens and teens, Michelle can be found neglecting her roots and dreaming up the next bestseller. She is a member of the Alabama Writers’ Conclave, Jacksonville State University’s Writers’ Club and her local Aspiring Authors group. 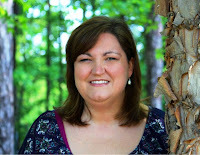 You can find her online at MichelleLoweryCombs.com, Facebook, Twitter @miclowery77, Google+, and on her blog Through the Wormhole: Confessions of a Bookworm.